Company Overview - Xiamen Luckyroc Industry Co., Ltd.
12YRSXiamen Luckyroc Industry Co., Ltd.
Xiamen Luckyroc Industry Co., Ltd., established in 1998, is a professional logistics engineering company specializing in developing, manufacturing, selling, installing and servicing storage facilities. 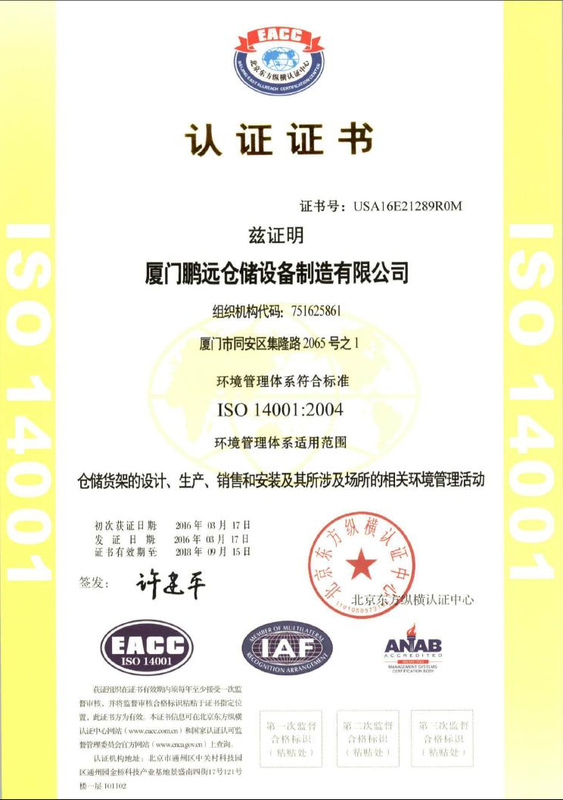 Our modern factory has many advanced rolling lines and automatic powder coating lines.We are ISO9001:2000 Quality Management System certified. Every procedure must be under the quality handbook. We have an experienced technical team. Our specially trained engineers provide efficient and excellent service to clients. Our products are exported to Europe, America, Australia, Southeast Asia and the Middle East. Our product range covers: 1. Storage racks: selective pallet racks, shelf racks, multi-tier shelves, drive-in racks, push back racks, live storage racks, mobile racks, flow racks, cantilever racks and AS/RS system. 2. Circulating containers: foldable mesh cases, foldable cases, storage racks, material trolley, steel pallets, plastic pallets, chute cases, circulating cases and shelf bins. 3. Workshop equipment: tool cabinets, work benches, placement cabinets, part cabinets, document cabinets, material sorting racks and bar racks. 4. Docking system: industrial sectional doors, dock levelers and dock shelters. 5. Spare parts for European, American and Japanese forklifts. 6. OEM service. Abiding by our motto of "Rooting by Service & Leading in Quality", we provide our clients with high quality products and excellent service. Please feel free to contact us for further information.